We'll be continuing from where we left off in the previous part of the interview which you may view here: http://www.gamers.com.mt/news/668/project-eversio-interview-a-year-in-review-part-1. Be sure to read up on the earlier part before delving into this one. 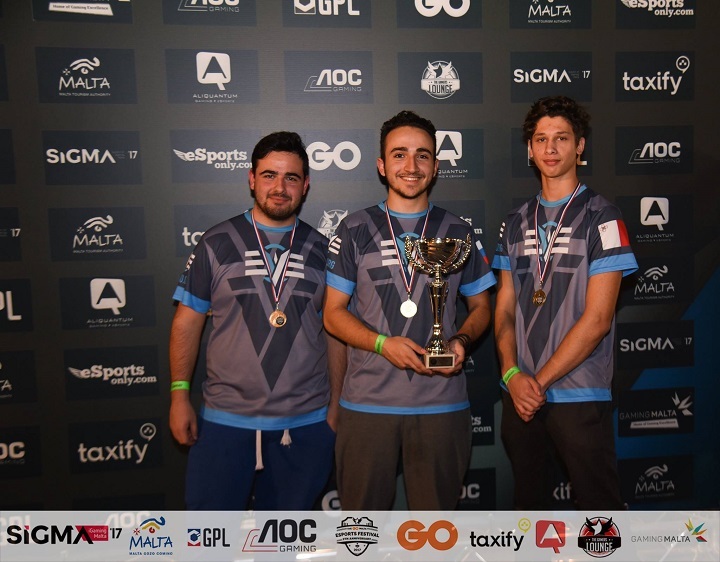 Having spent such time in the local scene, what are your comments regarding how Maltese esports has evolved over the years? What’s holding the industry back and which changes needed to take place? Also mention the best part of competing locally. Although the local esports scene experienced a slump some years back, it has now bounced back very nicely. The level of production, and streaming for events is unprecedented. The obvious drawback is the limited pool of players, which also obviously means that there aren't many players who dedicate time and effort into esports. We also have a problem that aspiring locals see competing in international tournaments as this massive barrier, and would rather remain in the safe confines of the local scene. We've seen a number of locals doing really well...Steve 'toxic' Micallef in Enemy Territory, Luciano 'Mose' Calvanico in Halo doing very well and I hope more can replicate their success. I think that for esports talent to further develop in Malta, we need to have a more steady stream of competitive events. Not one-off events, but continuity. Secondly, we need to improve the perception of esports locally. In order to get businesses interested in esports, we need facts, figures, and studies backing up our passion for the industry. That way, we can show real value of the market, and the demographic. Players could start looking to compete regionally (as opposed to internationally) to establish presence. Tournaments in Italy are not too hard to access, and organisers such as Gamers.com.mt could try and establish partnerships with event organisers such as ESL Italia and others. This would help increase the playerpool and market. Esports competitions organisers could also look into partnering up with organisers of 'world cup' type events, such as the ESWC, IeSF or the WESG, in order to have Maltese representation and participation. I also believe that more can be done to increase the local profile of esports as a broadcasted entertainment product. It's not just the organisation of events, but also the coverage surrounding those events. Streams, commentators, live coverage and more. Players also need to understand their own value. A player is a brand, and if players want a career in esports, they need to treat themselves as such. The persona they project determines whether anyone will feel compelled to follow them, or not. Streaming and a social media presence are only the basics, yet you don't see many local players doing that effort. Finally, we need to be (much) more open to the variety of games played at an international level. In contrast the aforementioned local competition, what is Project Everio’s appearance in the bigger picture, as in, internationally? Which international events are you eyeing for 2018 and what directions do you look to take. We constantly push our teams and players to compete in online cups with international teams, ideally on a weekly basis. Competing on an international scale has always been our ethos, and we're seeing many of our teams and players attempting just that. Attending international events abroad remains our goal. The challenge is having the resources, and in the players' case, the will and motivation to do so. At this stage, we're focusing on upskilling and nurturing the teams and players we currently host by participating in as many online tournaments as possible, for them to reach the higher echelons of their respective competitive scene. Again, I’d like to point out the huge expansion which has taken place over just 12 months – what are your plans for 2018 and what does the future of Project Eversio hold? Any specific aims? We have big plans going forward, and a significant part of that effort is formalising the organisation into a proper legal entity, and becoming financially sustainable in order to afford our players with the best possible resources for them to reach their goals and aspirations. We always keep an eye out for additional talent, particularly in game titles in which we do not have a presence. League of Legends, Overwatch, FIFA, Hearthstone and the upcoming Battalion 1944 remain on our radar, but we don't want to overstep for then not to have sufficient resources to manage the organisation as well as we'd like. We already have a staggering 23 players playing under the Eversio flag, and keeping in touch with everyone is not an easy challenge, especially when all of the management team lead very busy lives outside of the organisation. In 2018, we hope to be well represented in all local esports events, and hopefully start becoming more impactful internationally. We’ve arrived at the final question. With mere beginnings a decade ago, it’s safe to say that you are aware of the difficulties that arise when starting out as an esports organization. For all those entrepeneurs out there; what are your top tips for establishing an organization in this modern day and age? First of all, you need to be very clear with what you intend to achieve before starting out with a new project. If your primary motivation is profit, an esports organisation is probably not the business you should be looking at. Even the very large international brands often struggle to be profitable, and many nowadays are able to invest large sums of money because of a significant dependency on venture capital. An esport organisation's value lies in its branding, and in its reach. In assessing that, you are able to come to a fair conclusion of the value your organisation is able to offer. How many people are seeing your brand, and how much do they care? Don't promise anything you're not able to deliver upon. Promising too much to a sponsor, and then failing to deliver will likely not only drive your reputation through the mud, but also the reputation of the rest of the esports scene. You also need to be fully honest with your players with what you can provide. Manage expectations. Players also need to be educated about their value. If a 16-year old thinks he deserves to have full LAN support after placing top 3 in a local event, you need to step up and inform him about the economics of esports: that a player's (and a team's) value is derived not from winning, but from how many people noticed and cared about you winning. Esports is an entertainment industry, and just like traditional sports, funding flows when other businesses believe that your brand will give them sufficient exposure to market and eventually sell their products. If I had to summarise the above into a number of key 'takeaways', it would be knowledge of where value lies, branding, consistency, presence, and ability to communicate. Thank you for your participation and good luck for the future. Gamers.com.mt would like to thank you for the past 10 years of support which you’ve given to local talent, guiding them in their passion and granting them a pathway to do something more. Thank you for this opportunity! It's quite a long read, but I hope those who are passionate about our industry can find value in it. We're very proud of what we've managed to achieve, and we're also very proud and grateful towards the players who represent our brand. We like to see ourselves as an open family of passionate people. If you have ideas, you're passionate about the industry and you'd like to contribute to Project Eversio, we're very happy to have you on board. Ultimately, my wish is to have aspiring esports players and enthusiasts alike see Project Eversio as a reference point for the local scene, and beyond. Conversing with Project Eversio and creating this interview has been a blast of cooperation and extraordinary enthusiasm. Gamers.com.mt sincerely wishes Project Eversio a Happy New 2018 filled with even more accomplishments then one hell of a 2017 which we congratulate them on. We look forward to covering their progress over the next twelve months and bringing forward more great content together!